One of the nice things about living in southern California is our nearness to the beach. 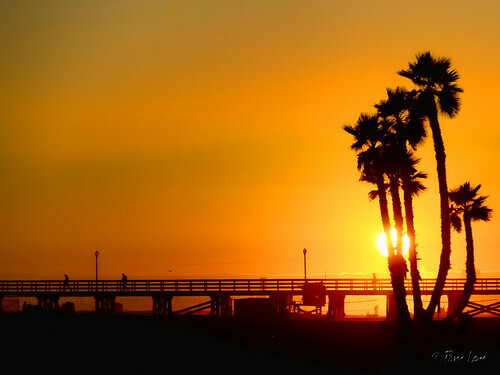 Seal Beach, just 20 miles south of Downey, makes the perfect destination on a summer Friday evening. You can sit on the beach and read while watching the sun set, or you can walk out to the end of the Seal Beach pier and have dinner at Ruby's Diner.